The Espy Corporation is a provider of commercial radio frequency (RF) monitoring, direction finding, Theater Net-Centric Geolocation (TNG) capable sensors and analysis software. Optimized to support search, survey, geolocation, discovery, and analysis of new transmitters in the RF spectrum, these sensors and GUIs are especially well suited to missions related to spectrum monitoring, spectrum enforcement, SIGINT, COMINT, and ELINT, with application to both industry and defense. Ease of use, quality, value, and maintainability are cornerstones of Espy’s offerings. Espy's teamSENTINEL© family of wideband recording RF sensors are highly configurable to address a wide range of requirements defined by size, weight, power, cost, frequency coverage (ELF, VLF, HF, VHF, UHF and SHF), wideband recording capacity, signal detection, signal categorization, angle of arrival direction finding (AoA DF) and TNG. Extreme recording of wideband digital RF (hours, days and weeks) affords operators the freedom to conduct signal searches without the pressure of operating in real-time, and all while the system is actively acquiring and recording new RF data. Signals can be retroactively prosecuted interactively by an operator to play back as audio, analyze to determine signal type, and geo-locate on geolocation-enabled sensors. The entire teamSENTINEL product line runs the same software binaries across the entire product line, guaranteeing the same exceptional user experience on all platforms. Espy provides a variety of commercial engineering support services related to the configuration, deployment, operations, maintenance and training of our systems and software. Specialized engineering expertise includes, RF infrastructure optimization, AoA DF antenna system design and deployment, direction finding operations, TNG node-deployment and operations, and advanced signals analysis. Espy’s subject matter experts are available for deployment on a world-wide basis, as U.S. export law permits. Espy’s products and services are ITAR controlled and require authorization by the U.S. Department of State prior to export. Please check back periodically for updates to this site. 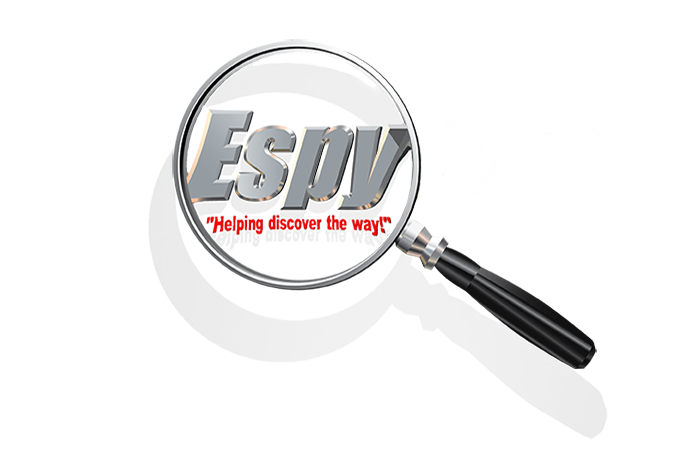 In the meantime, for more information about Espy's products, including pricing and technical details, please contact here or call +1 (512) 261-1016.